Engage communities to take collective actions to create a healthier world. 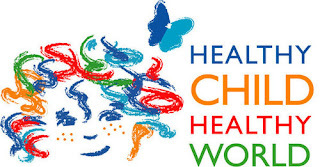 Healthy Child Healthy World was founded by James and Nancy Chuda in 1992 after their daughter Colette died from Wilm's tumor — a rare form of non-hereditary cancer. The Safe Chemicals Act of 2011 can be the change we need, but without your support – industry influence might weaken the regulations and put us right back where we started. Enter your zip code at Congress.org to find your representatives. Everyone has 2 Senators and 1 Representative. Put together a quick email and send to all three at once. (Maybe attach a picture of your kids to add a personal touch!) A phone call or letter has even more power. And if you can get a face-to-face meeting, you’ll have the biggest impact of all. Join the “I’m Not a Guinea Pig” campaign. Connect with Safer Chemicals, Healthy Families. Use our Tips and Tools for Action.